The 3 main categories with their volume status are illustrated below. 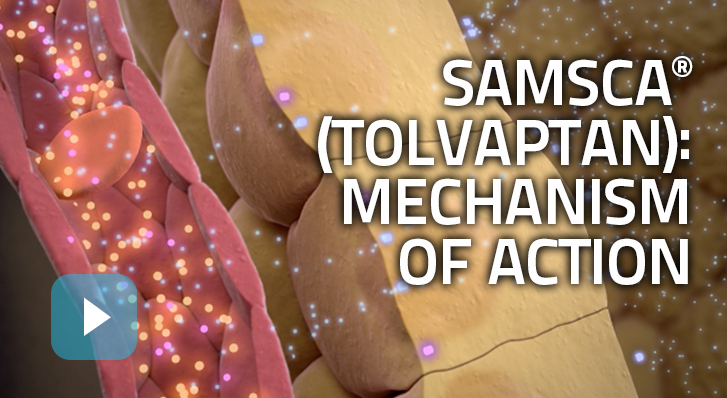 SAMSCA is contraindicated in hypovolemic and depletional hyponatremia, therefore this review focuses on euvolemic and hypervolemic hyponatremia. 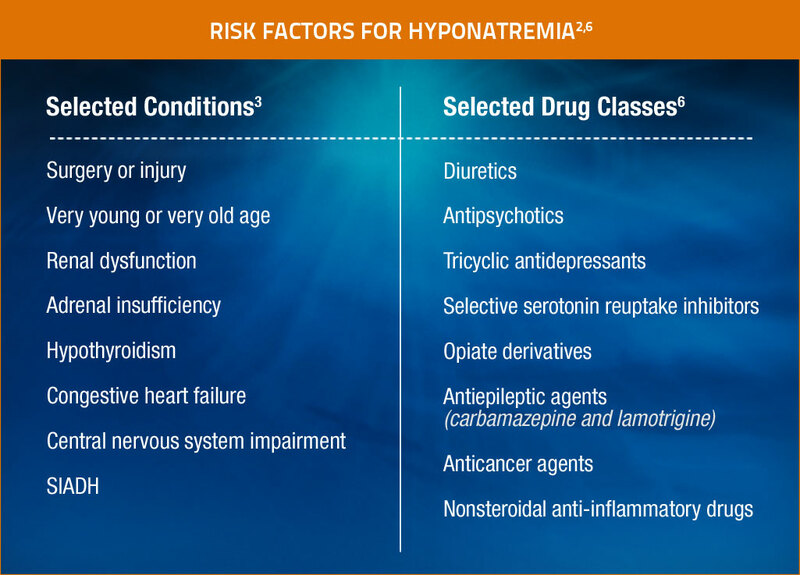 The figure below provides a guide for classifying hyponatremia into categories. 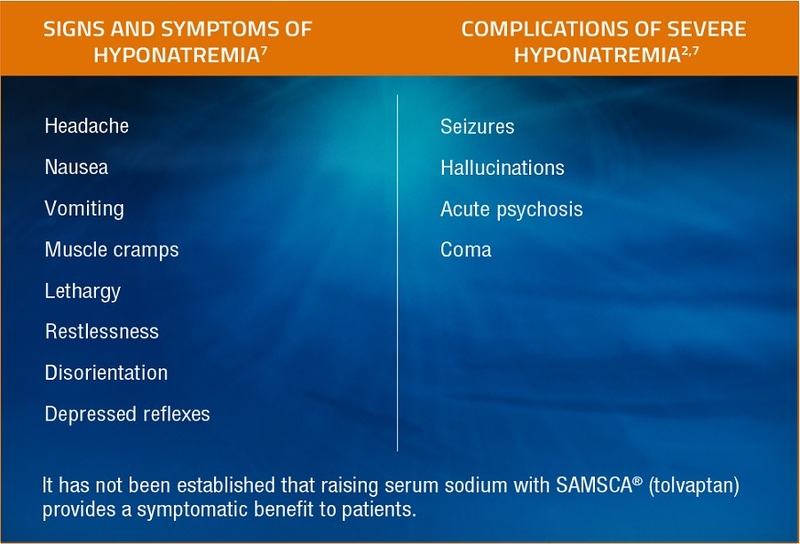 Based on assessment of volume status, medical history, and urine osmolality and sodium concentrations, hyponatremia can be classified as hypovolemic, euvolemic, or hypervolemic. Douglas I. Hyponatremia: why it matters, how it presents, how we can manage it. Cleve Clin J Med. 2006;73(suppl 3):S4-S12. Reprinted with permission. Copyright © 2006 Cleveland Clinic. All rights reserved. Adrogué HJ. Consequences of inadequate management of hyponatremia. Am J Nephrol. 2005;25(3):240-249. Han D-S, Cho B-S. 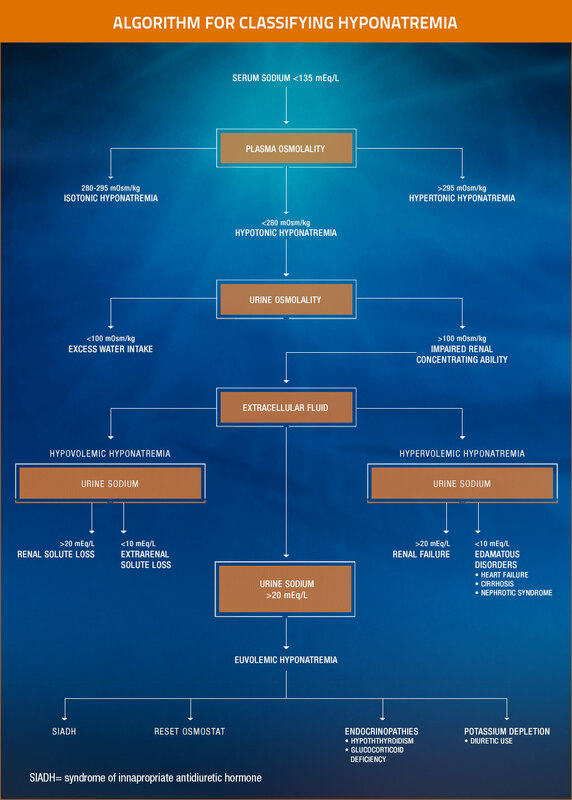 Therapeutic approach to hyponatremia. Nephron. 2002;92(suppl 1):9-13. Boscoe A, Paramore C, Verbalis JG. Cost of illness of hyponatremia in the United States. Cost Eff Resource Alloc. 2006;4:10. Liamis G, Milionis H, Elisaf M. A review of drug-induced hyponatremia. Am J Kidney Dis. 2008;52(1):144-153. Adrogué HJ, Madias NE. Hyponatremia. N Engl J Med. 2000;342(21):1581-1589.